John Barrick is an Associate Professor of Accountancy at Brigham Young University, Provo, Utah, where he has worked since 2009. He is a Certified Professional Accountant (Washington State Board of Accountancy 1994) and worked as a tax policy accountant on the Joint Committee on Taxation (2007-2009). He is the author of Taxation of Individuals and Business Entities (2010). 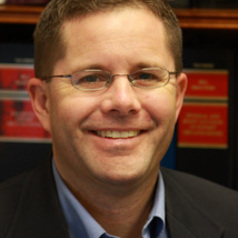 John holds a PhD in Business Administration and Accounting from the University of Nebraska, Lincoln.